U.S. Senators Edward Markey and Elizabeth Warren wrote a letter to Columbia Gas, the service in charge of the Merrimack Valley pipelines. The lawmakers demanded answers to their six questions regarding the deadly explosions that displaced 8,600 people. Columbia Gas said 6,300 customers in the surrounding area had their gas fully restored. 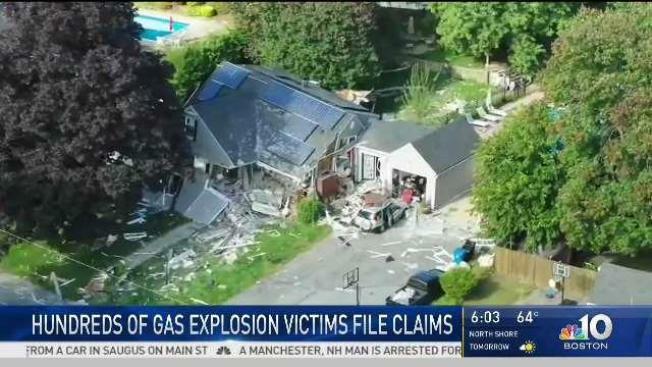 The natural gas company at the center of the explosions north of Boston last month was "woefully unprepared" to prevent or respond to the unfolding disaster, Sens. Elizabeth Warren and Ed Markey said Friday after a review of internal company documents. The Massachusetts Democrats said Columbia Gas didn't have adequate safety and response measures in place before Sept. 13, when more than 80 explosions and gas fires struck Lawrence, North Andover and Andover. They concluded the utility did not "properly contemplate the possibility that a disaster like this could occur, did not have sufficient safety measures in place to prevent a disaster, and was not prepared to respond." The senators also criticized the company for not instituting "commonsense" measures - such as knowing the exact location of control lines and having the proper staff onsite during repair work - until five days afterward. "The omission of these sorts of safety measures from Columbia Gas' operating procedures prior to this disaster is alarming and unacceptable," the senators wrote. "It raises serious questions as to why these policies were not previously in place for Columbia Gas' systems and whether that failure was the result of negligence, cost considerations, or incompetence." Ken Stammen, a spokesman for NiSource, Columbia Gas' parent company, said the utility can't comment on the cause of the incident or matters related to the ongoing National Transportation Safety Board investigation. "We have been responding to the Senators' requests for information in a timely manner, and are reviewing this most recent letter," he said in a statement. "Our attention right now is focused on restoring gas service to customers in the Merrimack Valley." Meanwhile, local government officials and Columbia Gas announced Friday they're offering hotel rooms, travel trailers, shelters and other temporary housing for those without gas service or otherwise unable to return to their homes.